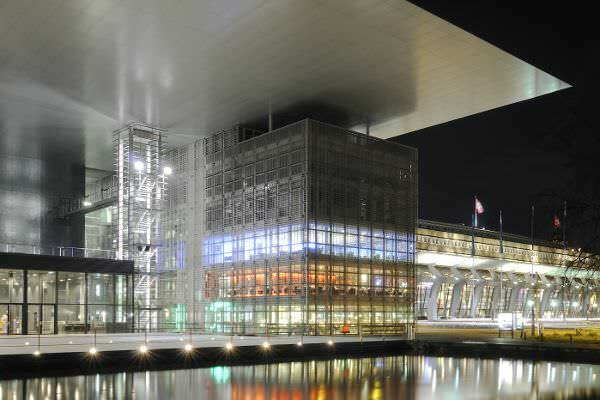 The French architect Jean Nouvel designed the KKL Luzern and built it according to his plans between 1995 and 2000. 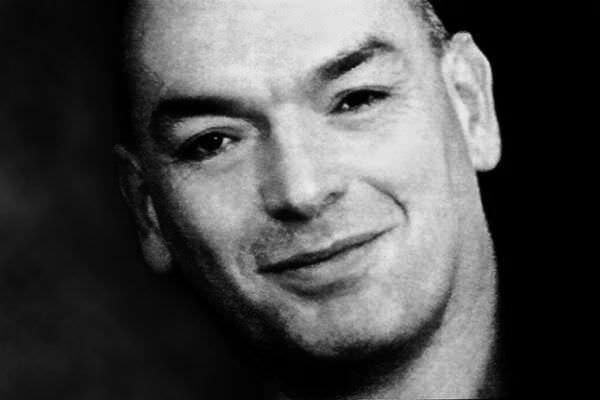 His Jean Nouvel practice in Paris is active throughout the world. His projects include museums, convention centres, concert halls, prestigious office buildings and residential buildings. Nouvel is one of the leading architects of our time. In June 2008, in Washington D.C., he was awarded the Pritzker Prize. Awarded for the thirtieth time, this is the highest award available to architects and is regarded as the 'Nobel Prize for Architecture'. The KKL Luzern is centrally located in the city of Lucerne. The venue is located directly on Lake Lucerne in close proximity to the international train station, which was designed by Santiago Calatrava. 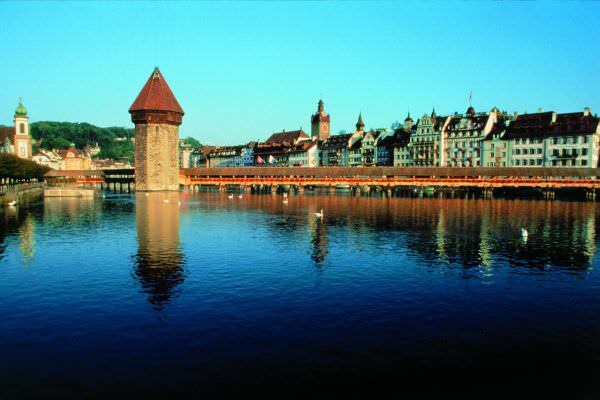 The old town, which can be reached via the famous Chapel Bridge and the Water Tower, is located just a few hundred metres from the KKL Luzern. On the opposite shore of the lake – the Lucerne Riviera – lies the 19th century part of the city with its stately hotels. The KKL Luzern is embedded in an architecturally diverse area. Originally, Jean Nouvel planned to build the new Concert Hall in the form of a ship, heading directly into the lake. This idea could not be realised for urban and ecological reasons. Nouvel revised the project and came to the following conclusion: if I can't go to the water, then the water will come to me. Nouvel uses the term ‘inclusion’ to describe his ideas, explaining that the outside comes inside, and the inside goes outside. Using water channels that lead directly into the building, and a roof that extends over the Lake, Nouvel made certain that his notion of Inclusion took on a real-world format. The height of the markedly overhanging roof decreases against the roof edge to practically zero. With this feature, it resolves the thickness of the steel construction into a thin line. 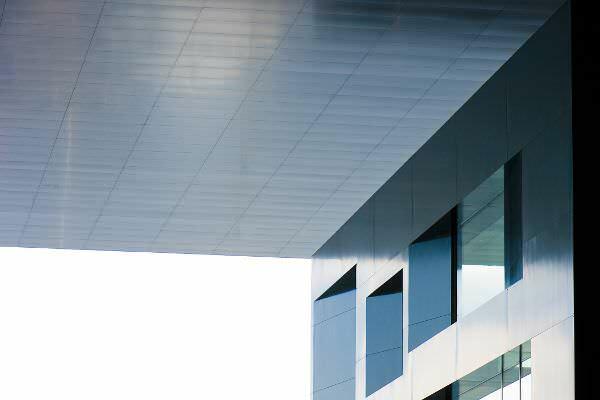 The flat aluminum plates of the view from below reinforce the impression of lightness, as they reflect the waves of the lake and this in turn reflects the roof of the KKL Luzern. Nouvel consciously played with the idea of reflection. This is further expressed in the materials he used. They change depending on the incidence of light and the perspective, the views and impressions of the building. 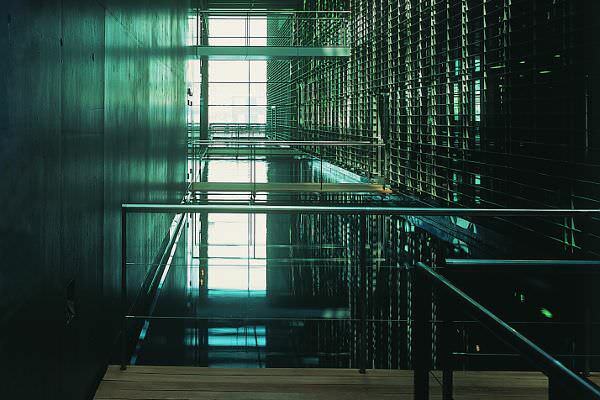 In addition, the water flows through channels and pools as an intensifying expression of reflection. The two water channels separate the building into three individual parts: The Concert Hall area; the Lucerne Hall area; as well as the convention and museum area. The three buildings line up like ships in the shipyard and each is distinguished by its separate identity. They are united by the wide dark roof, which covers a large part of Europaplatz, and the service provision area. This is the backbone of the entire building and makes all the units accessible. The Concert Hall area is characterised by its opacity (lack of translucency) and thus stands in stark contrast to the convention area. Nouvel used unusual colours like garnet red, deep green and midnight blue for this part of the venue. The outer walls of the Concert Hall are clad in wood. The curved shape of this outer wall pushes into the angular Foyer and is deliberately reminiscent of a cello case. The Lucerne Hall is polyvalent and kept simple. It should be able to disappear during an event and allow organisers to have the option of personalizing it for an event. The cubed construction made of concrete is slightly offset to the rear to further express the subtle nature. The convention area is an urban and transparent cuboid. The façade facing the station is equipped with different lattice structures. The building therefore looks like a bird cage, because from the train station it is possible to see through the lattice structure to the landscape and the sky.